Entirely unrelated, but just a reminder (yes, I'm too lazy to do a whole separate post): Today's the last day to enter to win a Melissa & Doug wooden puzzle from Gummy Lump Toys at Hobo Mama Reviews. If you win, you'll get to pick a puzzle that suits your little puzzler. All you have to do is pop over and leave a comment with your choice of puzzle. 4. Wordless Wednesday w/Mr. linky! Ask if my house can be done next! 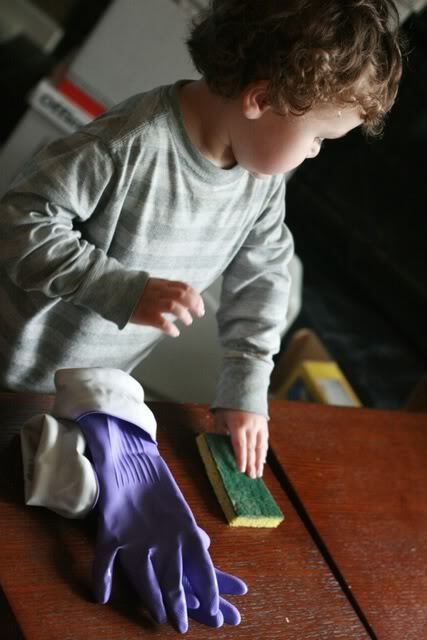 Too cute-such a big helper! Those are some great pics. Lol. Thanks for droppin by. I linked up too. Happy ww!! See ya next week. Thanks for stopping by and linking up. Hope you had a wonderful Mother's Day. Does he make house calls? What a great helper. That is so funny, and CUTE, CUTE, CUTE!! Those gloves look a teensy bit big. :) I love the super-helpful phase. He is too cute for words. 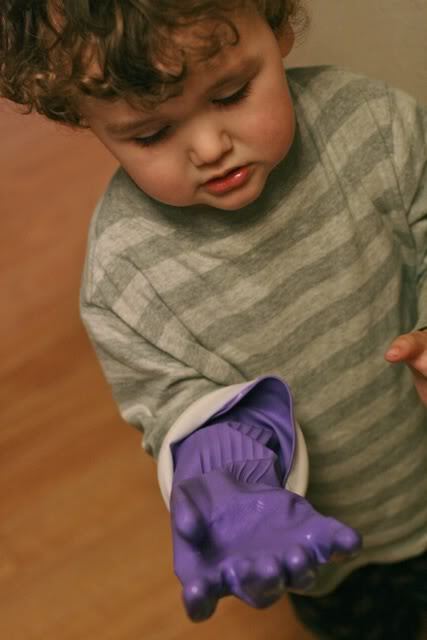 I love how big the gloves are.....and how intense he is working. I remember my son did that once. Once. Good post though, they speaks 1000's of words! I was washing dishes, and he was fascinated with my gloves. 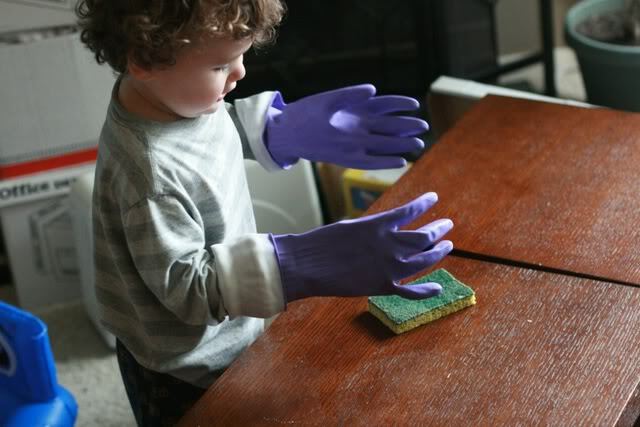 He grabbed the gloves from me, plus requested a sponge, and then off he ran to the living room to scrub! It cracked me up (and got me out of washing dishes! ).